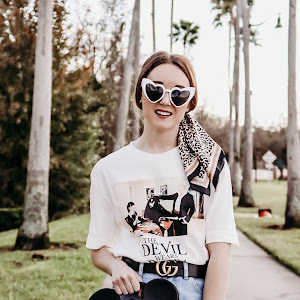 Shelby is a local Orlando blogger and social media influencer sharing her fashion, lifestyle and travel tips from Central Florida and beyond. Her Florida roots heavily influenced her personal style. While it's ever-evolving, her style can be described as effortless, casual and colorful. She graduated from Rollins College in 2014 with a degree in Communication Studies. She currently works in digital marketing, pursuing a career in social media and content development. Personally, she has over ten years of experience in blogging. She got her start on Polyvore in high school, and after winning several designer-sponsored contests, including Kate Spade and Keds, she decided to start a blog of her own. She grabbed her digital camera and began documenting her personal style journey online. 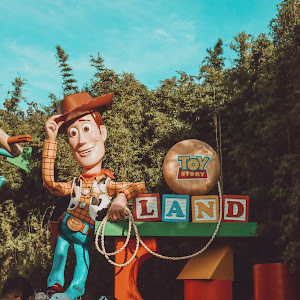 Since then, Lucky Day has evolved into a resource for Orlando locals and visitors, as she shares her unique Florida lifestyle and looks. In her free time, she enjoys grabbing a coffee, painting and spending time with her Jack Russell Terrier Murphy. Don't be surprised if you catch her in a pair of mouse ears, either, as she loves visiting the theme parks.